Cumbria’s Industrial Past featuring photos from the Mike Davies-Shiel collection with text by members of the Cumbria Industrial History Society. Details here. The Mike Davies-Shiel Collection. A CD containing PDF copies of Mike’s fascinating handouts, special Xmas cards, and his Lakeland Industrial Archaeology Newsletters (1969-71) is available from the editor as below for £5.00 including p&p. 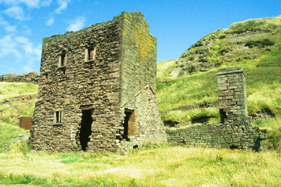 Master Of Them All : Iron Making in Cumbria (2007). Proceedings of a joint conference of the Society and the Historical Metallurgy Society. 135 pages. 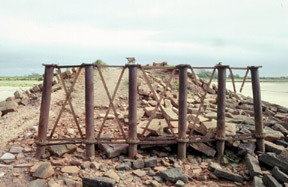 Contents : Iron ore in Cumbria ; Archaeological investigation at Cunsey Forge ; The bloomsmithies of South Westmorland and North Lancashire ; Wilson House, Lindale – John Wilkinson’s peat fuelled blast furnace ; Hodbarrow mine ; Millom – the end game ; Backbarrow Furnace and its history. Copies available from the editor as below for £9 including postage. Copies should be available for reference at Kendal, Carlisle and Penrith libraries, and at the county record offices. All except volume one can be purchased from the editor at solwaypast@yahoo.com at £5.00 per volume including p&p. Volume one is out of print, but the editor can offer a photocopying service. Volume Six (2006) : Charles Parker : An Eighteenth-Century Cumbrian Industrialist ; Warehouses in Ulverston : A brief survey ; The Carlisle Cotton Industry : An outlier of Lancashire Textiles? ; Gasworks in Cumbria : The early years. Volume Five (2005) : Whose responsibility? Industrial accidents in 18th century Cumberland ; Blacklead mine in Borrowdale ; A survey of industrial archaeological remains in upper Geltsdale ; The early iron industry in Furness : a revolution in the 18th century. Volume Four (2002) : How to burn lime? 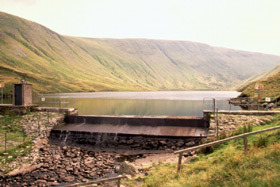 ; Heavy transport in Cumbria before 1800 : Methods, problems and costs ; Field drainage techniques and their development in Cumbria. Volume Three (2000) : Bucks of Carlisle – A garment factory and weaving establishment. A study in survival 1918-1939 : W.W.Hodgson and the Outgate Pop Factory ; Harbour-scouring schemes in West Cumbria 1680-1760 ; Cumbrian brick and tile works : North Cumbria. Volume Two (1999) : Attempts to smelt metal with coal near Whitehaven before 1700 : Early union activity, industrial injuries and the Poor Law. The case of Joseph Raven ; Lime burning on Kendal Fell ; Two engineering firms in a small county town : A case study of what engineers did and how they fared. Contents include news items, book reviews, reports on meetings and short articles, some of which also appear on this website. Copies should be available for reference at Kendal, Carlisle and Penrith libraries, and at the county record offices. A CD containing PDF copies of over 35 articles from early editions of the CIHS Bulletin is available for £5.00 including p&p. Please contact the editor at solwaypast@yahoo.com. August 2005 : Westmorland marble ; The devil’s porridge – the manufacture of cordite at HMFactory Gretna during World War 1 ; Cumbrian copper sites ; Descriptions of manufacturing businesses, premises, processes and products in the Carlisle Journal, 1821; Gasworks in Cumbria – draft list ; Spring Conference (Explosives) report ; Visit to Force Crag Mine. April 2005 : Field outing to Scaur Head Quarries, Wensleydale ; Gayle Mill, near Hawes ; Freight between Ulverston & Liverpool 14th August 1823 ; Descriptions of manufacturing businesses, premises, processes and products in the Carlisle Journal, 1819-20. April 2002 : The Thexton family of papermakers ; Who built the Catherine Street Mill (Whitehaven)? August 2000 : Iron and steel industries – Cumbria sites (MMP Step 3 report) ; Lead, zinc and copper mines of Braithwaite and Coledale ; Visit to Backbarrow ; Visit to Wrengill. A Guide to the Industrial Archaeology of Cumbria, compiled by the CIHS was published by the Association for Industrial Archaeology in 1993, but is now out of print.